St. Petersburg city is famous for its art heritage. 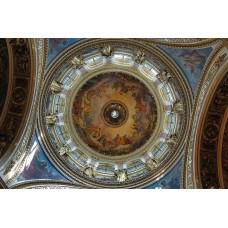 Our Deluxe 2-Day St. Petersburg Shore Tour for Art lovers is designed for cruise passengers who want to witness St. Petersburg unique art collections and famous museums. You will have a unique opportunity to visit recently opened Faberge museum which houses world-famous collection of Faberge Eggs and other exquisite jewellery items. The tour also includes visits to other famous museums such as: the Hermitage museum, known as one of the largest in the world, Catherine's palace with Amber Room, the palace of the House of Yusupov which is renowned as great art lovers, the famous Our Savior on the Blood Cathedral that contains over 7500 square metres of mosaics, and the marvelous St. Isaac's Cathedral.